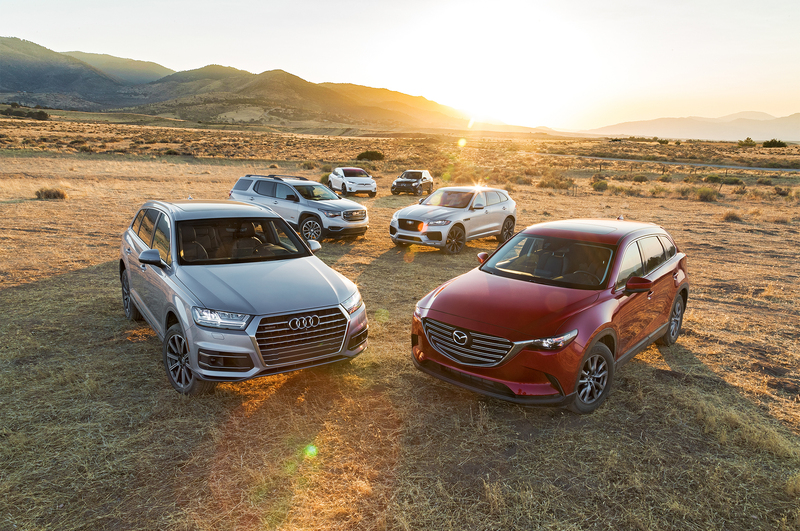 We all know that the car buying process can be overwhelming with so many options on the market, luckily MotorTrend has selected a number of cars for consideration of Motor Trend’s 2018 Car, Truck, and SUV of the Year. MotorTrend has been a credible source for automotive information for decades, keeping consumers informed and knowledgeable. They give great detailed reviews of cars and trucks to ensure the consumer is educated in the car market. Here at Quirk we have 15 dealerships including 12 automotive manufacturers. With that many models and options to choose from, it can prove to be a hard decision to narrow down the vehicle you want to purchase. Luckily a number of those vehicles appear on the 2018 Motor Trend Car, Truck, and SUV of the Year finalists list. With these vehicles making the cut on such a credible list, it should make it a bit easy to decide which vehicle will suit your needs. Let’s start with the 2018 Ford F-150. The F-150 has been a popular working man’s truck for decades. 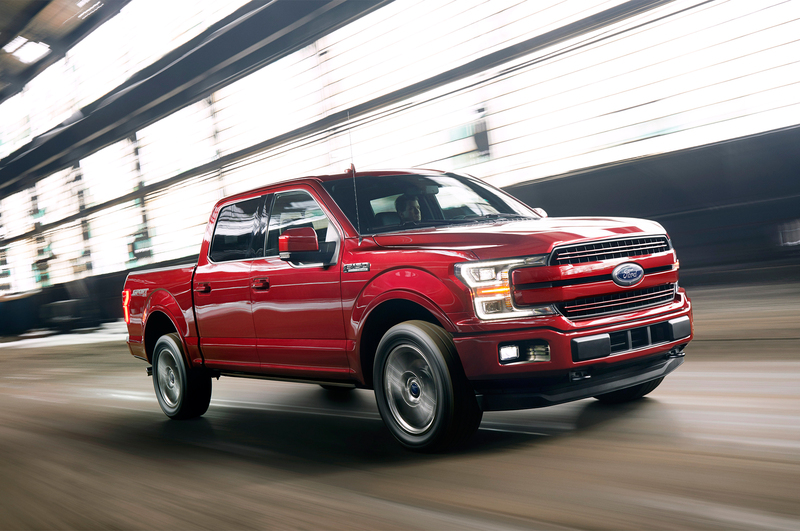 The 2018 f-150 is atop the truck market boasting the successful 2.7L twin-turbo EcoBoost backed by a 10-speed automatic transmission in addition to a number of other configurations. Of course for 2018 the F-150 will carry on the aluminum body, reducing a great deal of weight and high quality construction. Overall it is a great truck with plenty of power and studly looks. The second truck on the list is the 2018 Chevrolet Colorado ZR2. The ZR2 is the off-road package that has greatly increased the truck’s capabilities. If you are an off-road weekend warrior then this is definitely the truck for you back up with all the loaded features. The fenders have a bit of a prerunner style to give the truck more clearance for tires and suspension travel. The locking front and rear differentials will provide you with the most traction possible to get you through those challenging obstacles. This off-road beast has a couple different engine options; both gas and diesel. The Colorado has the available 2.8-liter turbodiesel with impressive torque and the 3.6-liter V6 with 308-hp. Now onto the SUVs. The 2018 Volkswagen Atlas is among the largest SUV considered for the list with its 3rd row seating. The interior is one that is spacious enough to hold 7 people and still maintain an impressive cargo capacity. The infotainment system is impressive, yet easy to use and navigate, allowing for enjoyable car trips with the family. Believe it or not the Atlas has some off-road capabilities with the utilization of a terrain-mode controller. So if you’re looking to haul a large family and make some memories, then the Volkswagen Atlas may be the road trip vehicle for you. Another large SUV on this list is 2018 Chevrolet Traverse. The Traverse has taken on some new design changes within the last couple of years including shaving some weight to increase gas mileage and performance. The Traverse has been rated very well by Motor Trend with little they wished to changed. 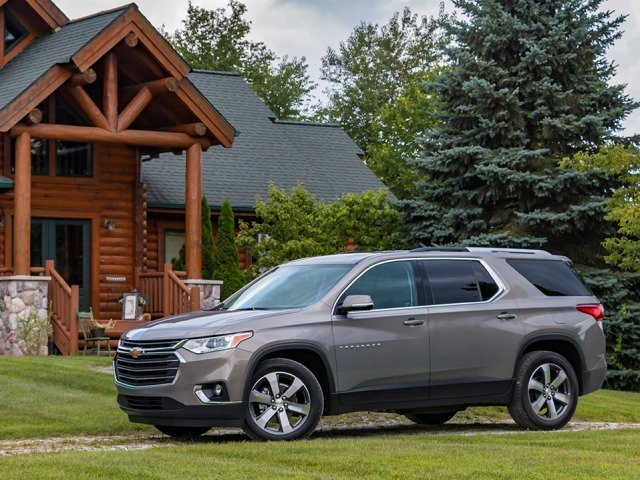 Chevrolet has definitely outdid themselves with the newly designed Traverse, so check it out as an alternative to the Volkswagen Atlas. The third SUV that is more of a crossover than a full-sized SUV is the 2018 Subaru Crosstrek. The affordable crossover as part of the long-loved brand has the sporty feel that may appeal to a younger audience. What’s great about the Crosstrek is that it is offered in an abundance of colors that would certainly be considered unique. With it’s off-road capabilities, you will have no problem exploring nature, and getting you to your favorite remote locations. As one of Subaru’s unique vehicles, the Crosstrek is one for those who want to stand out in the crowd with something a bit different and exciting. There are two Kia models on the car side of the Motor Trend finalists. 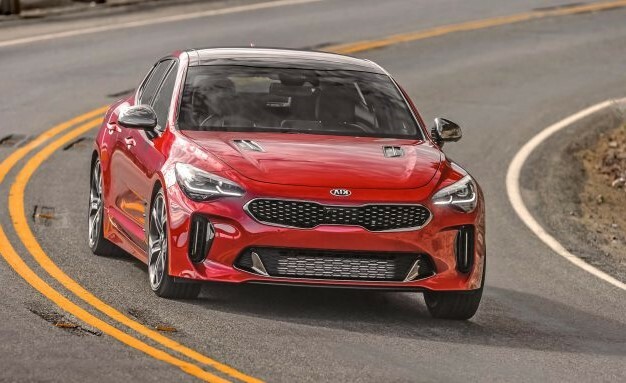 The Kia Rio and the Kia Stinger. The 2018 Kia Rio is a car that is wallet friendly. It is considered a sub-compact hatchback, so you know it’s a gas sipper and won’t hurt to fill up the tank. If you’re on a budget and need a reliable car that’s super efficient, the Kia Rio should be a one of your top choices. Last and certainly not least, we have the 2018 Kia Stinger. May be an unfamiliar name but it making its impression in the world of high performance. The four door sedan comes in three different configurations including a RWD turbocharged I-4, AWD twin-turbo V-6, and RWD twin-turbo V-6. The twin-turbo V-6 models will provide you with 365 hp and 376 ft-lb of torque to get you flying around the track or down the interstate.